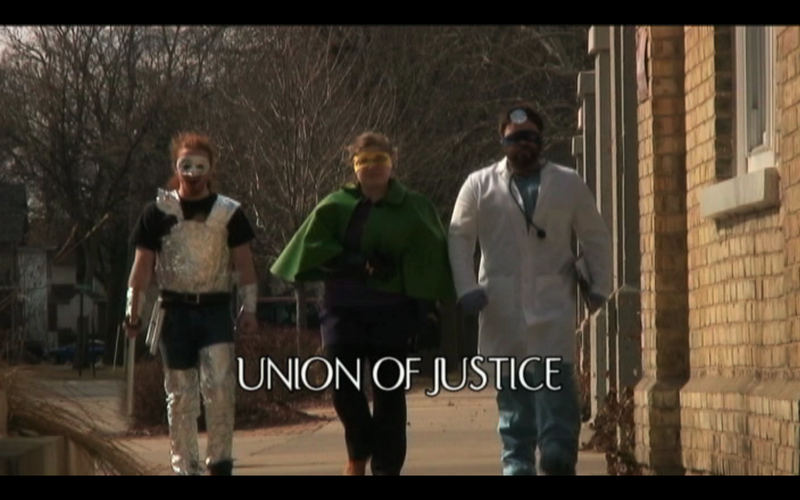 Andrew Sparling, Samantha Herpolsheimer, and Robert William Ford in UNION OF JUSTICE. Three superheroes -- The Foiler, Statica, and Dr. Gyro -- debate whether to unionize in their effort to fight crime. The discussion is interrupted by the schemes of the nefarious villain known as the Bee Keeper.